Here’s what’s happening in the world of television for December 5. All times are Eastern. The Marvelous Mrs. Maisel (Amazon Prime, 3:01 a.m.): Ah, to be young, beautiful, and a covert stand-up comedienne with children you occasionally remember to parent. 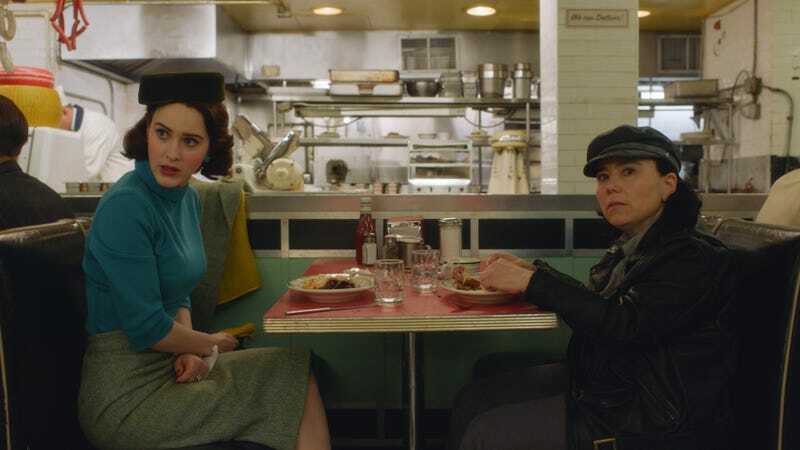 Such is the plight of one Midge Maisel at the beginning of her titular show’s second season, one that’s as enveloping, clever, and expertly acted as the first. If the initial outing of Amy Sherman-Palladino’s Emmy magnet was intended to introduce us to the show’s players and our heroine’s gifts and dreams, then the second continues all that—but it also makes room for the gifts and dreams of the people in her orbit, notably her parents (Marin Hinkle and Tony Shalhoub) and her manager, Susie (Alex Borstein). It’s good stuff, and we’re excited to cover it. Today, Arielle Bernstein tackles the first two hours of the season; then she’ll do two more tomorrow, and two more the day after that, until eventually she’ll reach the season finale. Surely in one of those hours, Midge will remember she’s got kids, right? Single Parents (ABC, 9:31 p.m.): It’s been awhile since we checked in on Liz Meriwether and J.J. Philbin’s latest, which follows a group of (you guessed it) single parents as they navigate the choppy waters of being both single and a parent. In this episode, one single parent tries to ban smartphones while another seeks some sort of revenge concerning his favorite pen, which is surely why this episode is titled “Ronald Reagan’s White House Collectible Pen.” It’s a lot, but the mostly delightful Single Parents isn’t the kind of show that you need to track from week to week, so let’s drop in and see what Meriwether and company might have to say about that collectible pen, shall we?